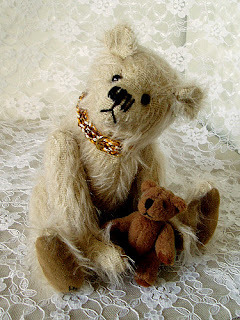 Today I have worked on making my bear look old and worn and very well loved. it in the pic's but its hard to get all the details clear. 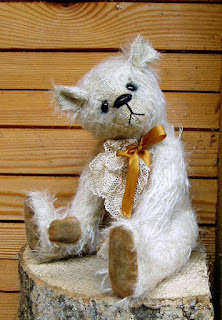 Alfred is for adoption on my website or just sent me a mail. I hope you like him, he is ready for adoption. or use it as a gift for someone special. 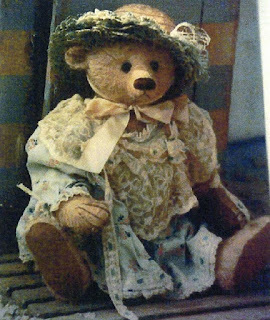 I have listed more cute bears on Etsy and some very noce teddy bear patterns if you like to sew yourself. 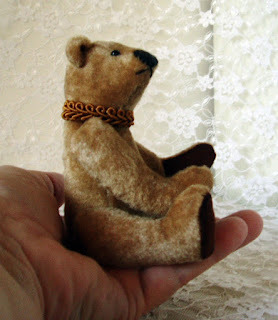 More bears is in the works, so they will be listed soon.